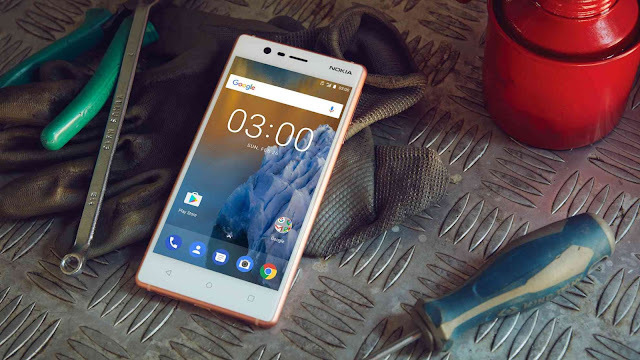 Nokia is slated to release few Android phones in Q2 2017, and few of them will fall into flagship segment. According to a new leak from NPU, the Nokia 9 will be the first flagship phone from Nokia, which will be released next month. The source also tipped the specs of the phone. The Nokia 9, going by the leaks will come powered by the Snapdragon 835 chipset, coupled with 6GB of RAM and 64GB/128GB of internal storage. The Nokia 9 will get a 5.5-inch QHD OLED display and rumored to feature the Nokia OZO 3D audio technology. As per the leak, the Nokia 9 will boast of 22MP Carl Zeiss dual rear camera along with a 12MP front-facing snapper for selfies and video calls. In addition, Nokia is planning to make the phone water and dust resistant to compete with the rivals such as Galaxy S8 and LG G6. The Nokia 9 will boot Android Nougat based stock OS and expected to come with a 3800mAh battery with Qualcomm's QuickCharge 4.0 technology. The phone might be the first Nokia phone to feature IRIS scanner. All said and done, these are just tipped specifications, and none of them are officially confirmed by the company. We will update you in there's any info related to Nokia 9.